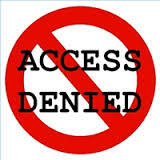 Students are among the most prominent users of the internet, and as such will know only too well that schools and universities often apply restrictions to what can and what cannot be viewed in the establishment. With hand held devices such as smartphones and tab lets now the most popular way of surfing the web it is no surprise that schools have taken the time to make it difficult for students to access the web in school time, but did you know there is a way to get around these firewalls? All you need is a simple service known as a VPN, or virtual private network. When you access the internet from school or university you will likely do so via the internal WiFi; this will use a designated server to access any information you request. It is this server that knows what to block as instructed, so you need to use a different server. This is what a VPN does; there are many such services with servers in different locations around the world, and by choosing one of these you are bypassing the restricted school server. It’s simple, effective and cheap, and it also has many other benefits. What Else is Great About a VPN? Not only will a VPN allow you to gain access to content restricted by your school or university, but it also provides you with increased levels of security. A public WiFi network can be accessed by a lot of people and, as such, provides easy picking for those who wish to steal information that is being sent back and forth using that network. With a VPN service you are no longer susceptible to such risks as the system will not only use a remote server, but will also encrypt all information you send. This protects not just your information, but also gives you added protection where your online identity is concerned. The dual purpose of the VPN – to protect you when online and to bypass those school and university firewalls – make it a valuable purchase for only a small monthly outlay.